Generally smokers have more plaque and calculus deposits on their teeth as studies have proved that oral hygiene of smokers are poorer than non smokers. Calculus are stony hard crust material that covers some part of our tooth surface and cannot be remove by brushing. The heavy plaque and calculus predisposition will lead to more periodontal problems (gums) in smokers. 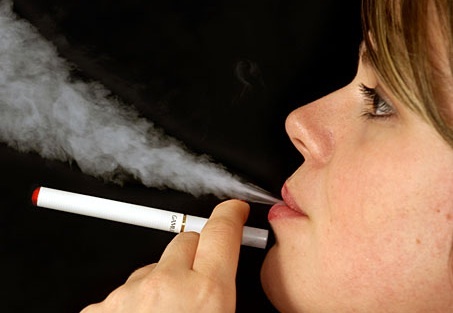 Any form of periodontal treatment will be ineffective if you continue to smoke. This is because smoking disrupt our normal immune response such as impairing the action of polymononucleocytes which is necessary to engulf bacterias that invade our body. Thus, diseases such as Acute necrotizing ulcerative gingivitis which is also called trench mouth ( ANUG is a very painful periodontal diseases where grayish slough form on gums/gingival and bleeds when slough is removed) occurs more severe in smokers. Smokers are found to have greater pocket depth and greater bone loss than non smokers. Dentist will measure your pocket depth by placing an instrument probe into the pocket between your gums and teeth and smokers have greater depth. More bone loss will lead to mobility and earlier loss of teeth compare to non smokers. Cessation of smoking is the only way to prevent all these side effects from occurring and loosing teeth in early age . Smoking can lead to formation of oral cancer as it causes changes in our body immune response. Leukoplakia which is a white patch lesion that is long standing and due to unknown reason is highly found in smokers and can lead to formation of oral squamous cell carcinoma .Oral squamous cell carcinoma has a bad prognosis, which is around 5 year of survival rate. Smoking is not only harmful to our lungs but also to our mouth . Many people might neglect the side effects that cause to our teeth and only seek advice when the periodontal diseases have progress to a more severe stage. Cessation of smoking is the only way to improve your periodontal, oral heath and prevent any form of side effects to occur . This entry was posted in Oral Care and tagged bone loss, periodontal, Periodontitis, smoking on July 18, 2011 by SH.